Cooperation with your friends, resonate the song with victory! 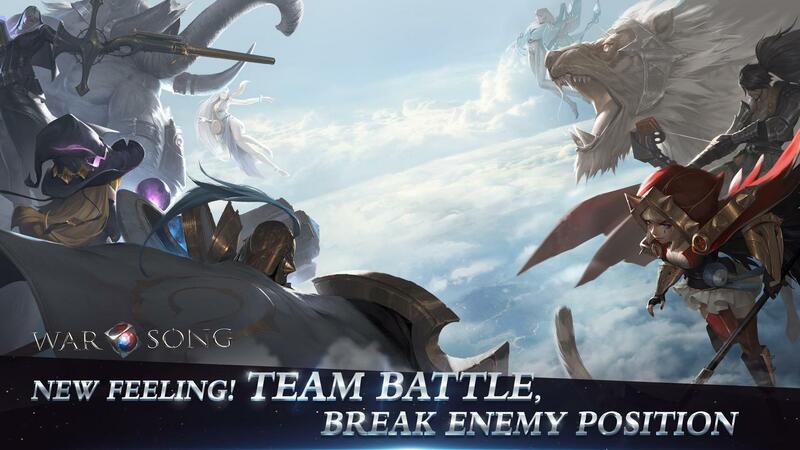 "5 vs 5 enemy team destroy team battle"
"War Song" is a MOBA title that SIXJOY develops and manages. More than 20 characters with distinctive roles appear, and you can enjoy a fair real time battle with up to 5 vs 5. Attacking the opponent on the map, attacking the tower and turret, eventually destroying the opponent's team's crystal will be a victory. Early eight years since the Heirich Bishop country broke the Herdes empire and stopped the advent of the evil spirit, war never caused peace on this land. Even though each country maintained equilibrium with hare, there was a possibility that it could be broken by a slight force fluctuation. At the same time, an island of ancient ruins was discovered in a certain sea. Not only the essence of the infinite knowledge of old magicians, but also the way to manipulate the evil spirit were written in the ruins. This mighty power will undoubtedly shake heaven and earth. Adventurers, soldiers and mercenaries all over the world have landed on this island with their speculations in their hearts. What are they waiting for ...? Fight with your colleagues! 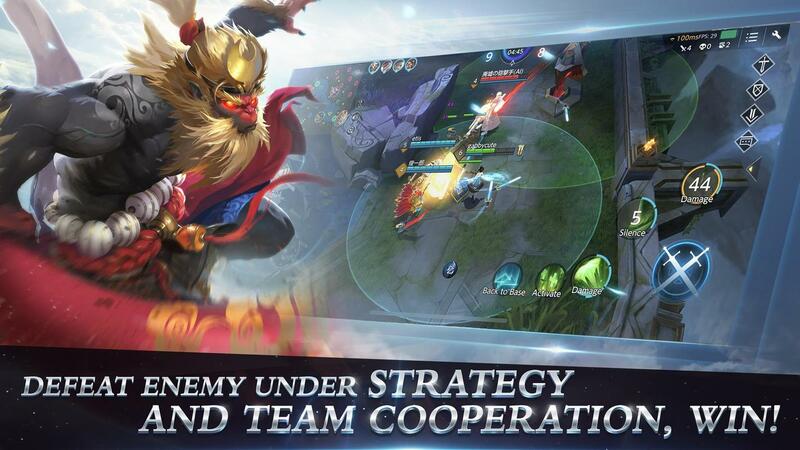 "Enemy Team Destruction Team Battle"
Heroes are the key to efficiently moving the team in accordance with the structure of the map, the placement of enemy friendly facilities, and the movement of the enemy. Role combination of team members is important, and strategy game ability is also high. Movement with virtual pad is smooth and intuitive, UI arrangement such as attack button to attack enemies (continuous attack by pressing), skill button etc. is optimized for mobile device, it is possible to play simple and stressful . 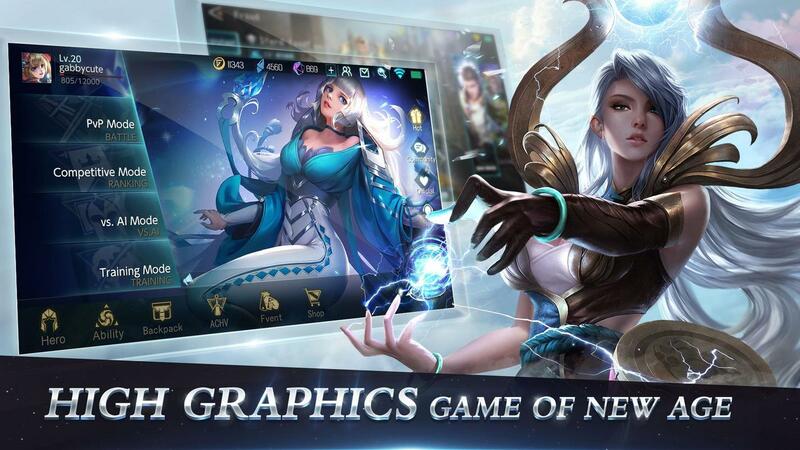 Beginners of MOBA games can make progress in a short time. More than 20 kinds of heroes of various races, such as knights, guardians, wizards and elves, appeared! Skill also has different performance such as physical, magic, control type. In addition, several kinds of avatars are prepared in the hero, and the back story is also enriched. 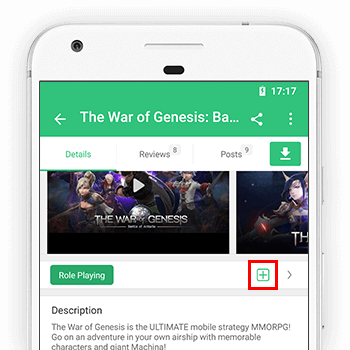 There are six kinds of roles (roles) of tank fighter, assassin, mage, marksman, and support in the hero that appears, and it is decided what kind of role to combine for each team, at which timing the skill is to be activated, Multi-battle where game situation changes every second is incandescent! It has stable behavior control ability and strong defense skill, but its attack power is relatively low. I am good at short-term long-term battles and can protect a certain degree of damage. It has an offensive power that poses a threat to HP with low opponent. Although physical attacks from long distances can constantly give stable damage, they are also susceptible to damage, and team member support is necessary. Range attack magic is good at giving damage. It has unstable behavior control ability. Having a stable target approach skill, he is good at instantaneously giving huge damage. It is the biggest threat for HP with low opportunity, and it is also easy to be damaged by himself, and it can provide defense skill by the operation ability. I am good at building a favorable battle environment for the team and supporting team members, but their fighting ability is relatively low. 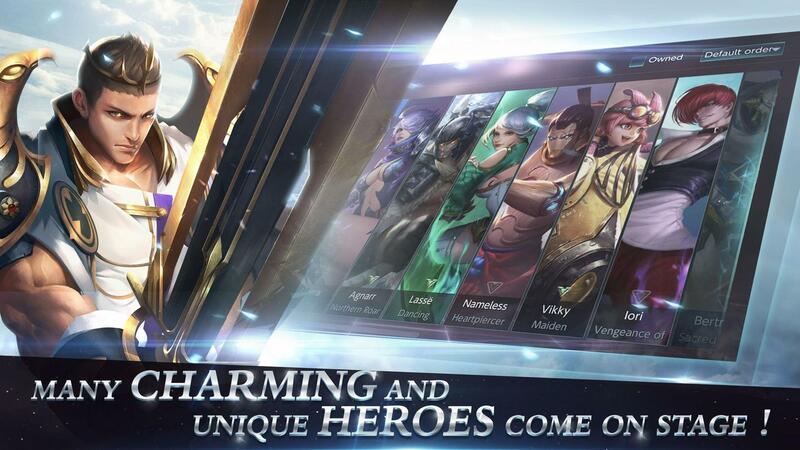 Over 20 heroes can be made to sort with a variety of attractive skins. Map graphics are real and beautiful, Facilities etc are drawn so that heroes and facilities are easy to distinguish. The hero's skill effect is also gaudy and motion is a feature that moves smoothly. With a comfortable matching system, you can enjoy battle at maximum 5 vs 5 at any time! "Free match" allows you to match battle with domestic players quickly. With CPU, you can practice CPU warfare with varying degrees of difficulty, training mode that allows you to practice games' basic operations and simulated warfare etc. The heroes of various races, the navigation voice that conveys the battle situation, contains the Japanese voice that the gorgeous voice actors play. Voice is played even when skill activation and attack, exciting the battle! ■New hero come on stage! New mage——"Space-Time Mage"come on stage! Season Three ranked match will open at 02:00, Augest 8th!